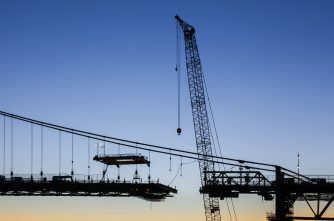 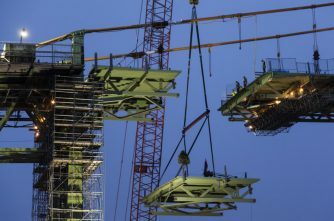 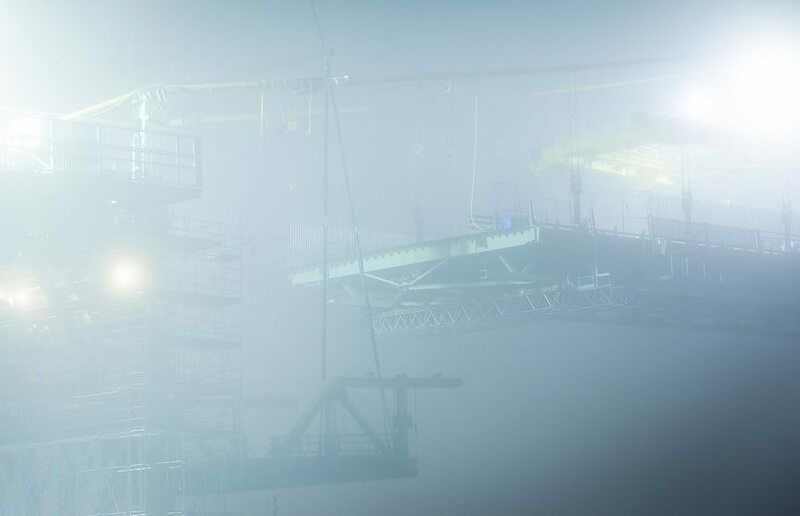 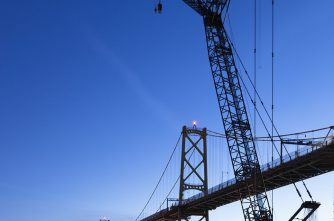 In 2010 planning began that would see the entire suspended structure of the Macdonald Bridge replaced over the course of several years. 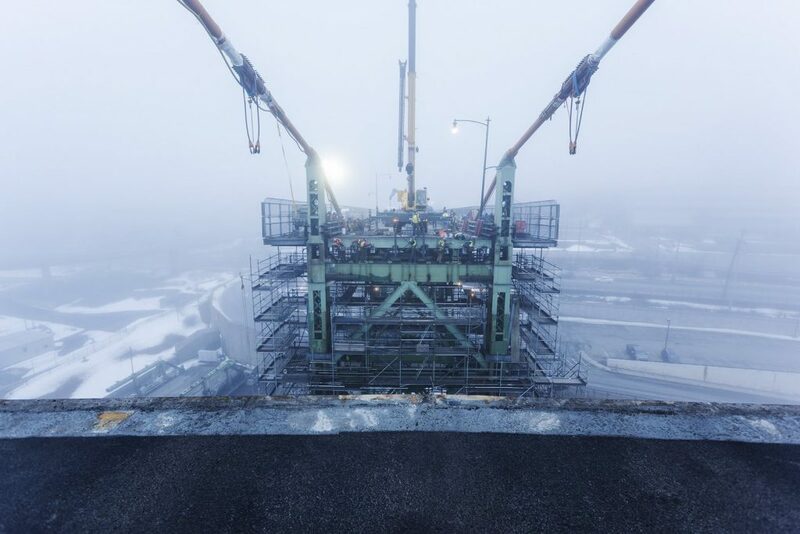 With the size and scope of such a monumental task, it was dubbed the Big Lift. 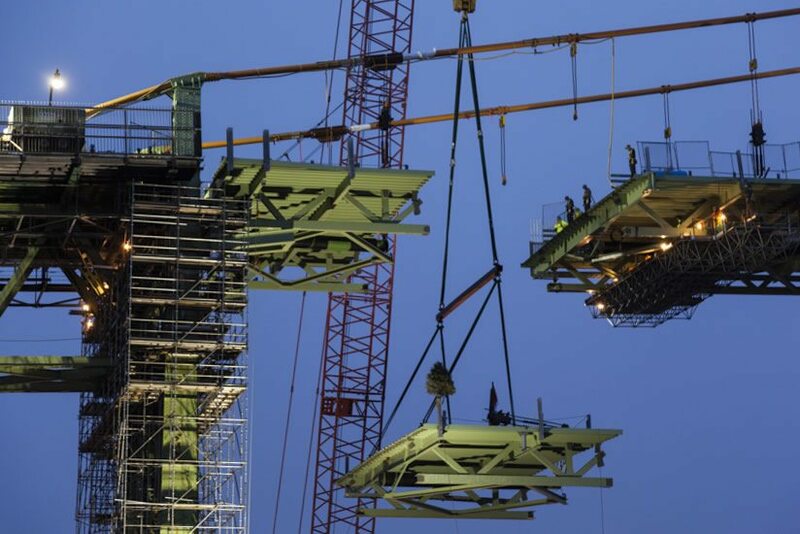 But it wasn’t just the size of the project that was to make it historical, it was also the engineering. 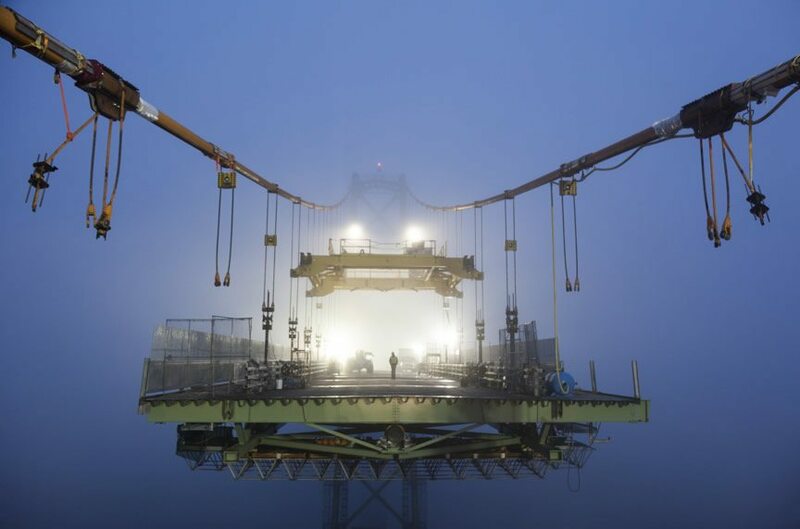 The Big Lift would only be the second time in history the suspended spans of a suspension bridge would be replaced while keeping the bridge open to traffic. 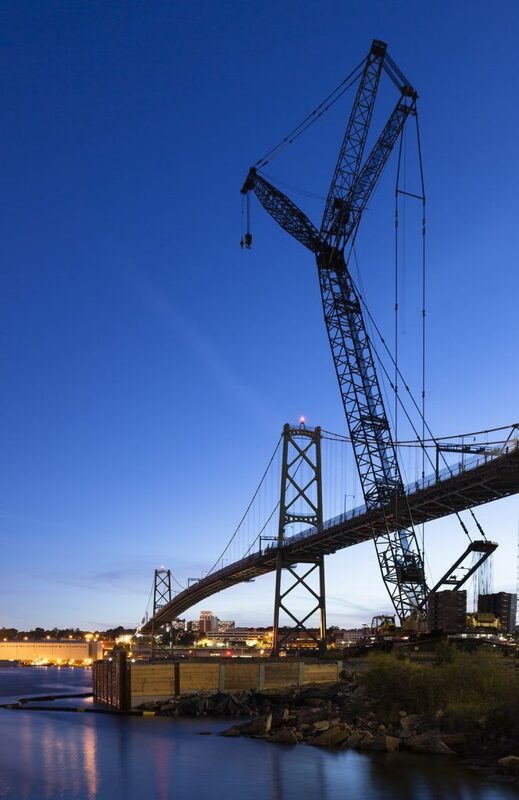 Interestingly enough, the first time this feat was completed was on the Lion’s Gate Bridge, the Macdonald Bridge’s sister bridge in Vancouver, 15 years before the Big Lift. 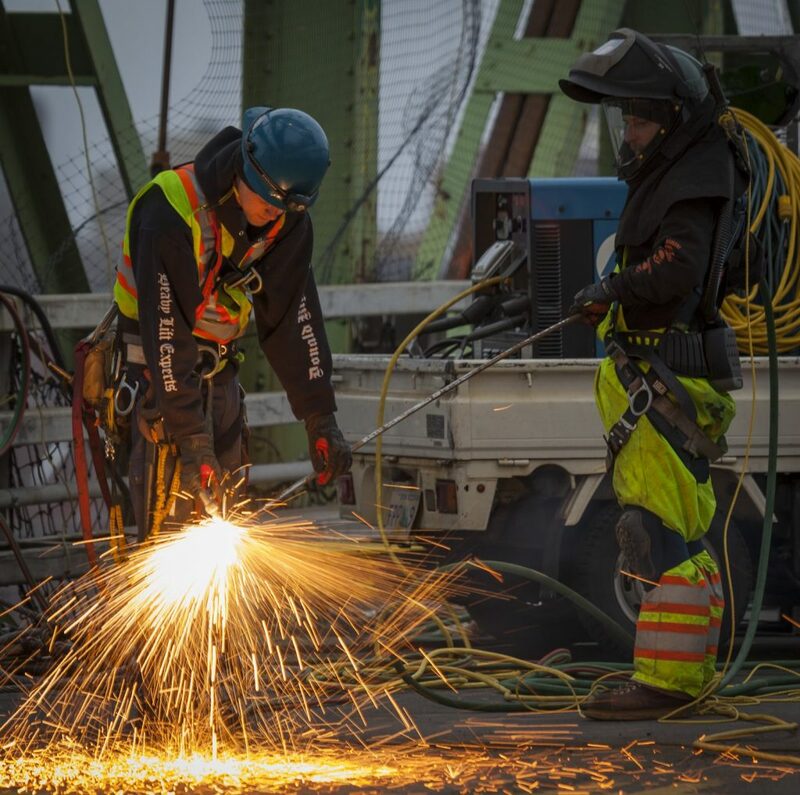 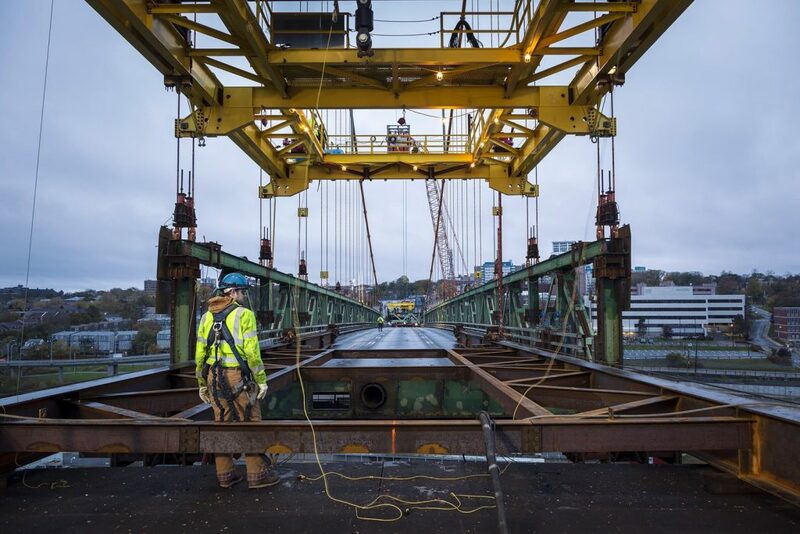 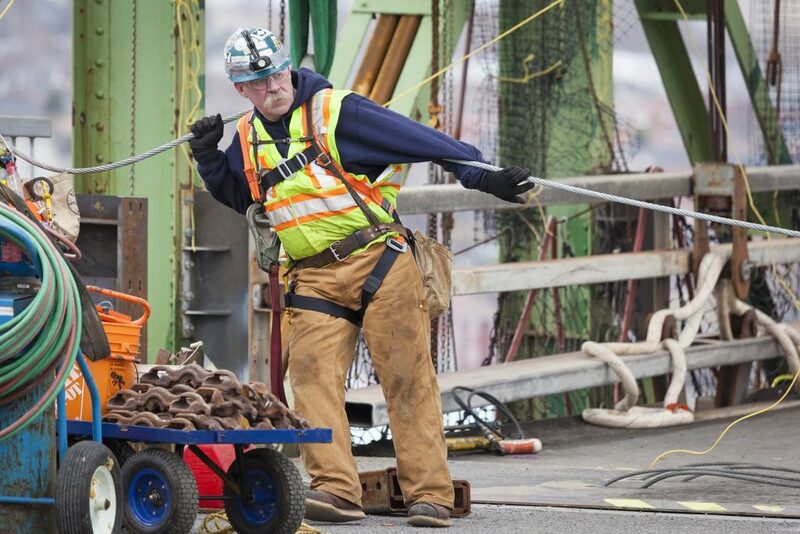 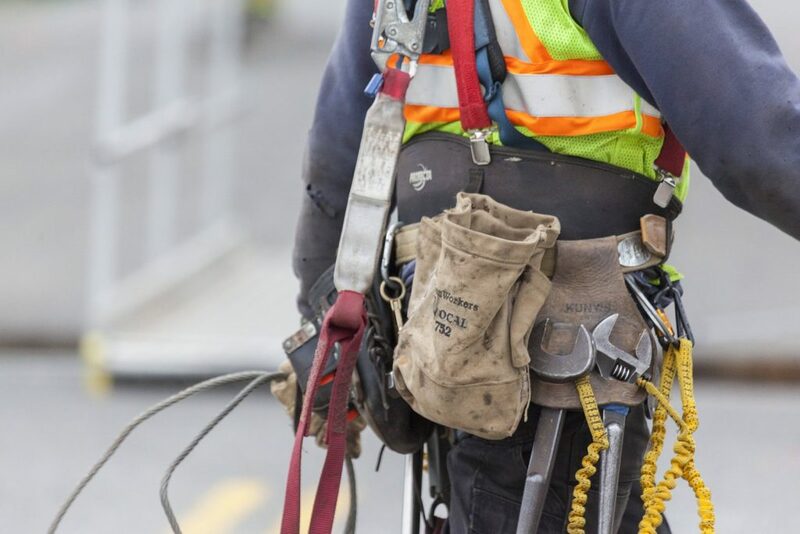 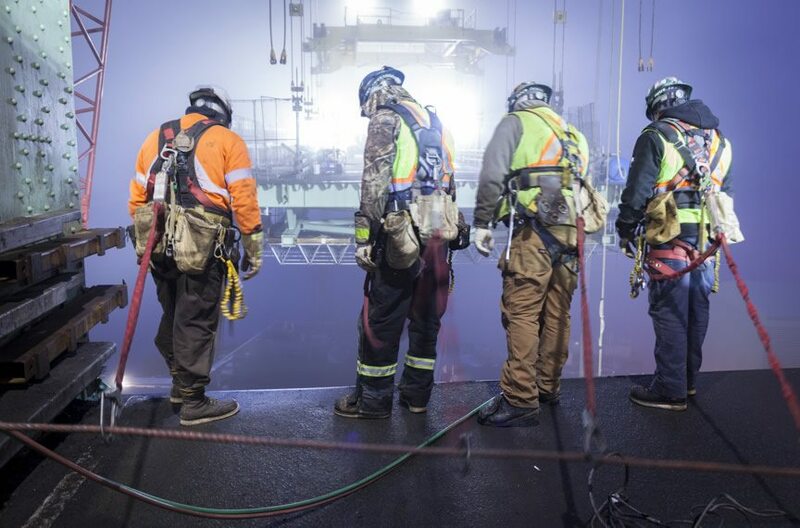 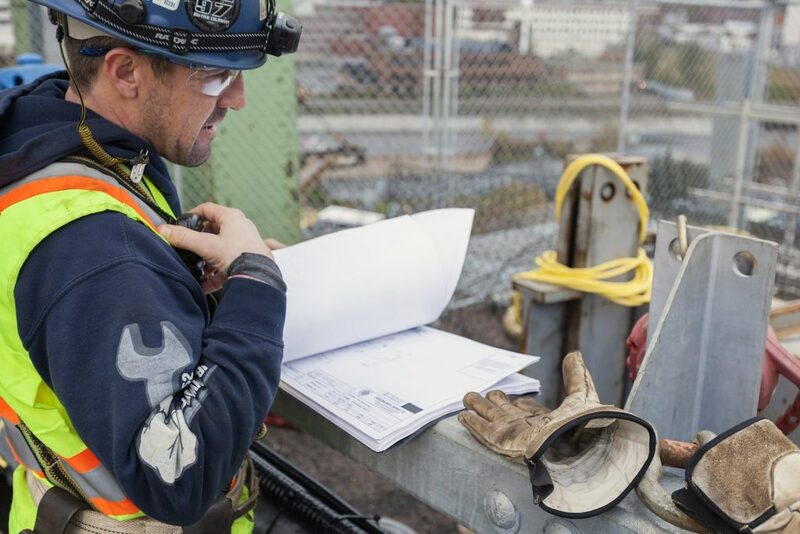 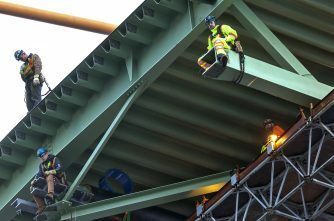 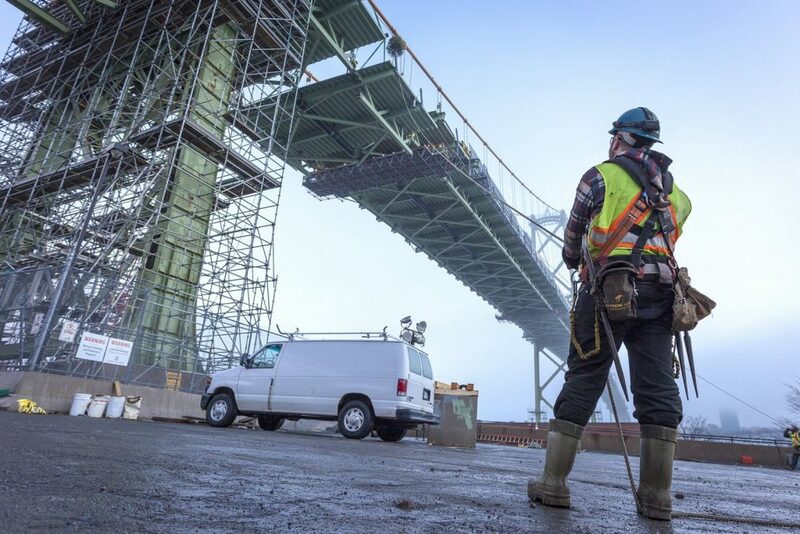 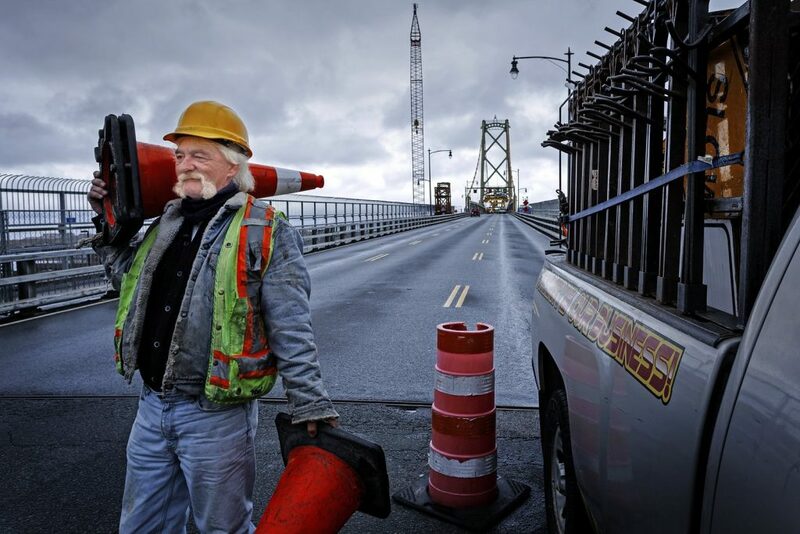 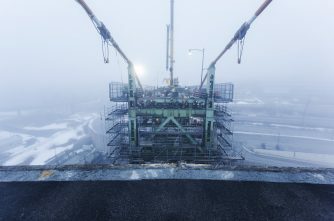 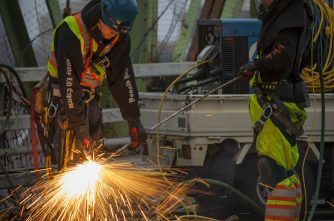 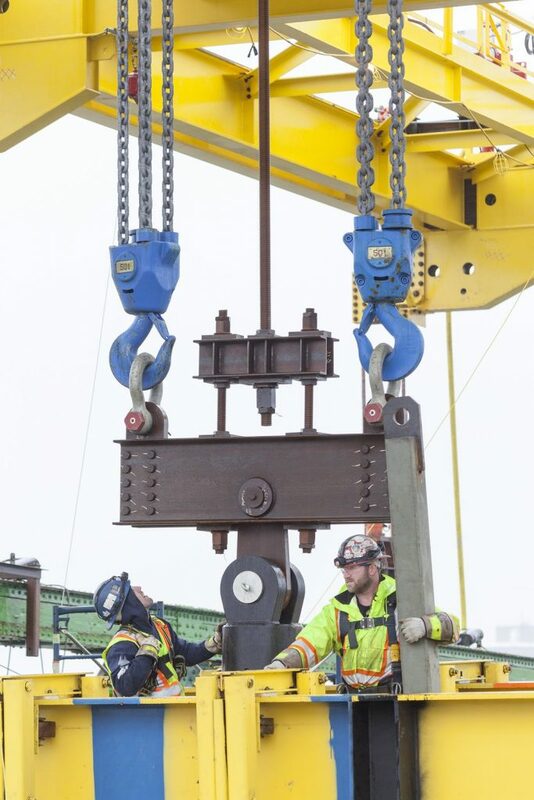 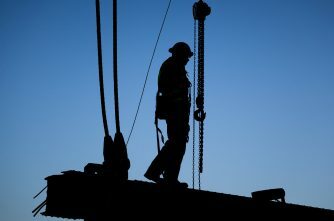 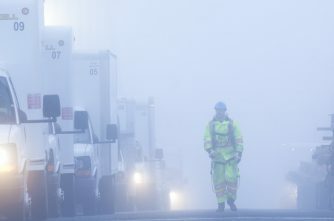 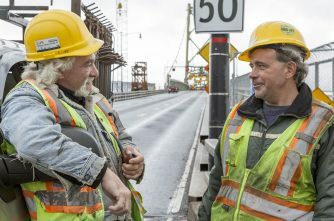 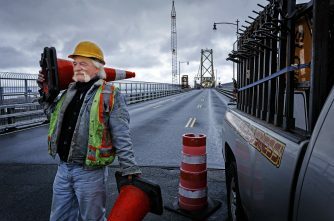 Over it’s duration the Big Lift would see the complete replacement of the road deck, floor beams, stiffening trusses and suspender ropes on the suspended spans (2,500 ft of the overall 4,418 ft length) of the Macdonald Bridge. Now complete, much of the bridge infrastructure is new, leaving only the towers, main cables and anchorages on the suspended spans as original. Starting near the Dartmouth shore the bridge deck panels (in either 20 or 10 metre lengths) were replaced overnight. 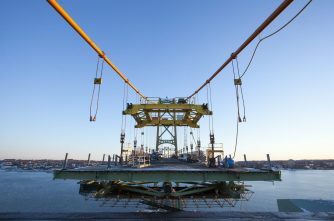 A lifting gantry was positioned on the suspender ropes, and the existing panel lowered to a barge in the harbour. 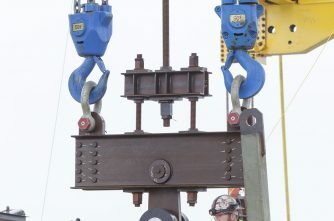 A new panel then was lifted into position in the same manner. 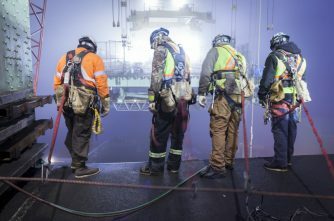 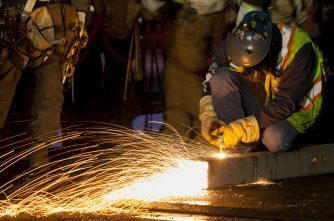 One deck panel was replaced every three or four working nights. 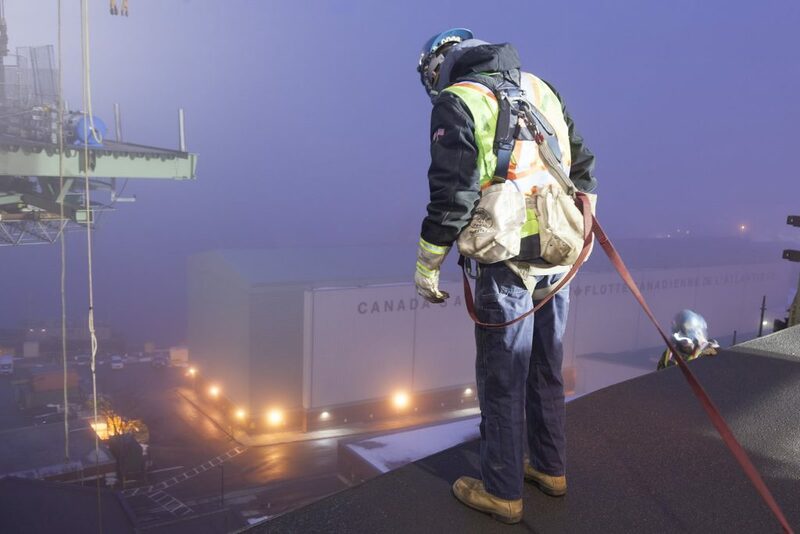 Weather, particularly wind, was a concern for lowering and raising panels, but was managed with great success. 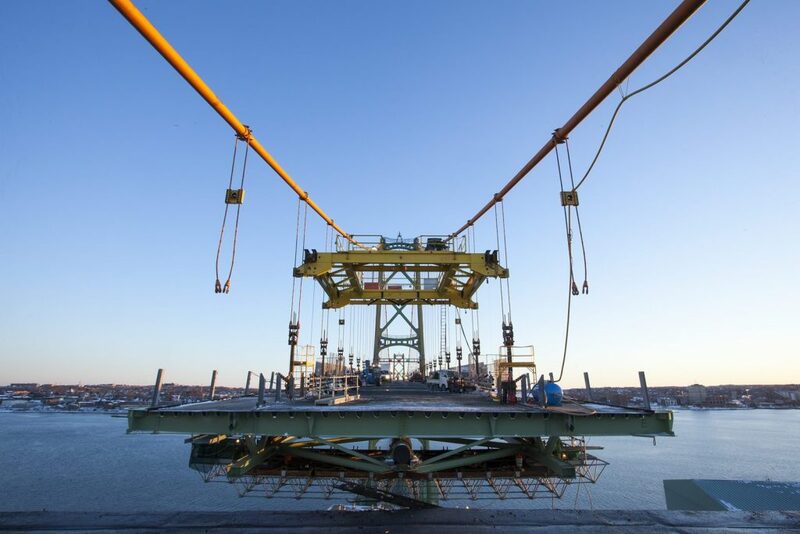 On the Halifax side the bridge deck panels were replaced in 10 m lengths over land because they could be brought in by truck rather than on a barge.